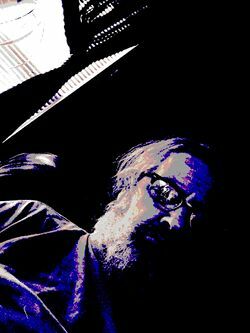 For those who can't handle the real truth, the spinners of fake truth at Wikipedia have a thoroughly boring article on Grand Dad. For those who can't handle the real truth, the spinners of fake truth at Wikipedia have a thoroughly boring article on Grand Dad's true form. Did it... is this the one I played? ...no, let's check it out. 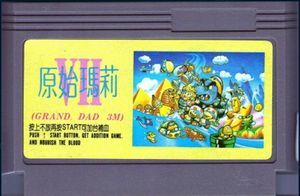 Grand dad. The grandest of dads. YEAHS THIS IS IT! LOOK AT THIS LOOK AT THIS THIS IS HOW IT LOOKED. 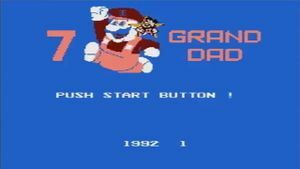 Is it Grand Dad, or Granddad? Fred Flintstone's like, "Yeah, I'm in this toooo!" FththUMBS UP. So, it's-a-sorta-like-weird endorsement from the flintstones alright. I, or 1, I dunno. This page was last edited on 19 Arply 2019, at 15:04.